I don't think i've ever made dal, but it does look delicious so I'll have to try it. I didn't know there were so many different types of lentil! Before I read this, I just assumed lentils were used to bulk out meals. This recipe looks really yummy! Mmm, I bet this is so tasty! Love dahls, they are so cheap, nourishing and filling and love that this one used so many types of lentils. Oooh, this recipe looks delicious and I love your props. Ooh Nayna, you have me craving dal now. I've never made dal with more than one type of pulse, so I'm keen to try this. Also good to find out that panch means five - so panch phoran presumably means 5 spices? Ooh this looks amazing and anything I can enjoy with a poppadom is a win in my book! 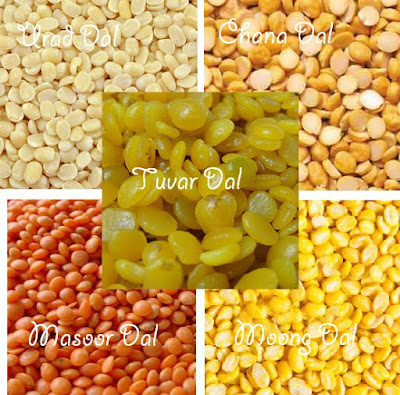 And I'll be honest lentils are usually something I only use in soup but I'm really interested in trying dal now! Oh this looks lovely, like someone else said, I didn't know there were that many types of lentil! 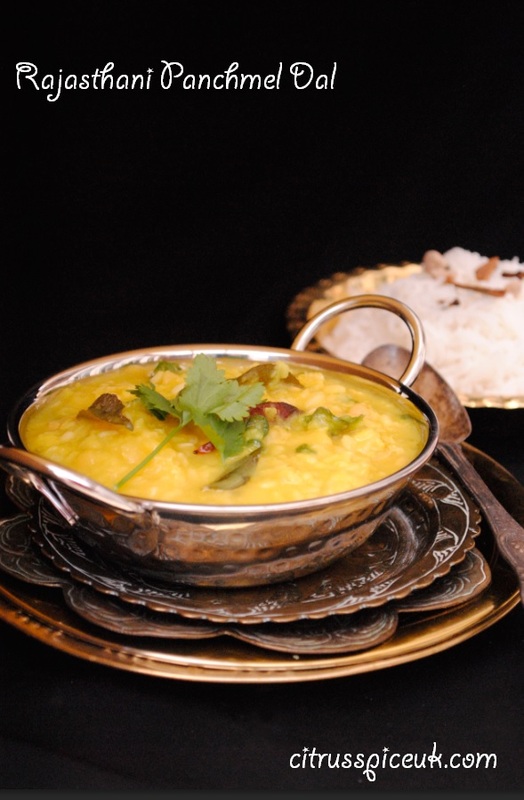 A really good dal has to be one of my favourite dishes. Sounds as though this one's pretty special, with all the different types of lentil. I've never made Dal but I would like to attempt this one. It sounds and looks delicious! This looks delicious - also love the serving bowls! what a lovely combination of different lentils and spices. I really want to try this, will have to see if I can find everything. it is my favorite dal with garlic no vaghar on top of it. Oh this sounds delicious. I don't eat many lentils but I may have to try this. I love lentils and Indian food so I know I would fall in love with this! Have never tried anything like this, it looks delicious!! This looks so yummy. I would love to try it. I love lentils, but my body doesn't haha. I'd be too scared to try this! Wow this actually looks delicious! I'm doing my best to eat healthy this year and would love to try this one out. Oh wow I love a good dahl and despite having just finished dinner I could so eat that right now. Yum!! that looks soo yummy! I really need to try this! Love lentils. Ultimate protein source. Will try this recipe. This looks so delicious, filling and comfortingI love lentil based dishes! They're so good for you! 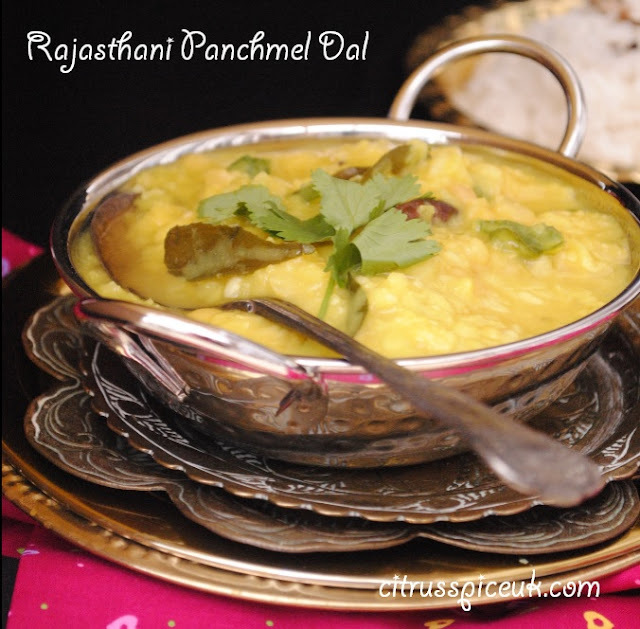 I've always wanted to make Dal & this looks delish�� So on it goes to my list! !